Shi Shi L'amour can make you a raw silk clutch in a colour to match your outfit and headpiece, for a flawless, seamless look. 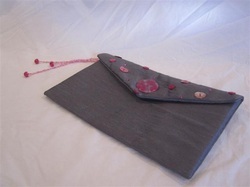 Please email Katie if you would like a clutch made for you. 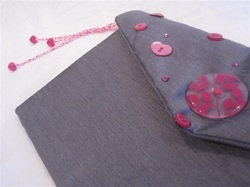 This clutch was made to compliment the Rio fascinator.